Recently I was introduced to a new product in the market called HYALUAL which contains a combination of non cross-linked Hyaluronic Acid(HA) with Succinate Acid, a natural occurring substance with potent anti oxidative and repairative properties. Produced from a Ukranian company, this new product is slowly taking over some of the more established brands as the results it delivers is very real and obvious. In order to see how it works as well as it's effects, I volunteered to be the model and so the company's medical trainer, Dr.George, a dermatologist did the injections on 1 side my Associate Dr. Angeline did on the other side. I must say it wasn't as painful as I thought. In fact, it was quite comfortable. The blebs were of course immediate and redness followed due to the presence of the succinate acid. 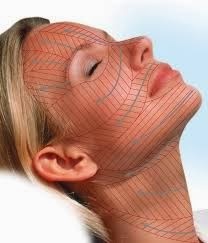 This is also a sign of improved circulaton and oxygenation of the skin. The whole face is injectied with Hyalual uncludingh undereye areas, nasolabial folds and upper lip. Injecting the product is akin to infusing the skin with skin water which is what gives our skin the glow and luminosity we all desire. All ages can have this treatment done either to maintain good skin, prevent or slow down effects of aging or treat skin that's dehydrated and aging. After my treatment,the blebs remained obvious for a few days 2-3days) but the redness settled 24hrs later. The most wonderful thing was I woke up 5days later and saw how my skin glowed and my mineral makeup glided on with ease. The best part was the skin looked great without any makeup and felt soft and smooth to the touch! I love it!!. I am looking forward to my next session which should be 2 weeks from the first. 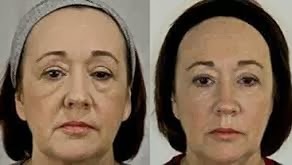 A series of 3 sessions is recommended in order for the effect to last a min of 6months, although results are seen even after 1 treatment sesssion. The 3-5 days of downtime was worth it! 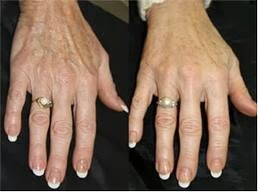 SInce then, we have done redermalization of the hands and décolletage . See the difference? 3.define the jawline and give the face a "V shape"